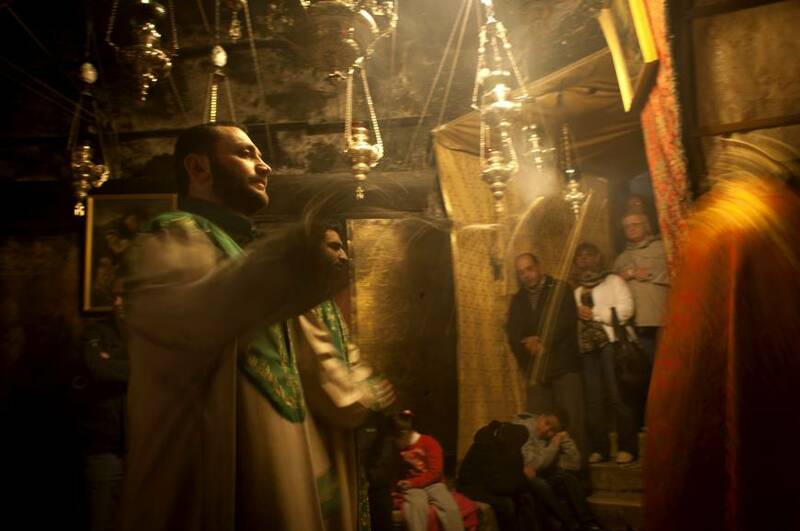 BETHLEHEM, WEST BANK – A Palestinian college student is one of the last keepers of a fading tradition: ringing the bells of Bethlehem. Khadir Jaraiseh climbs twice a week to the roof of the Church of the Nativity, built over the grotto where tradition says Jesus was born. He pulls the ropes of four bells in a rooftop tower for a total of 33 times to symbolize the number of years Jesus was believed to have lived. Jaraiseh rings the bells for prayer services of the Armenian Apostolic Church, one of three denominations that administer the basilica, one of Christianity’s holiest shrines. The Roman Catholic and Greek Orthodox denominations at the basilica — each of which has its own set of bells — have switched to automatic bell ringers. But there is something special about the traditional approach, said Jaraiseh, who uses both hands and a floor pedal to pull the ropes. Jaraiseh rings the bells two days a week, and an older colleague covers the remaining five days. During the Christmas season, his task is particularly enjoyable, he said. His rooftop perch offers a view of old stone houses and cobblestone alleys in the center of Bethlehem. On Sunday, patches of snow were left on rooftops, remnants of a rare snowstorm that hit earlier this month. Much of the church was covered in scaffolding as part of urgent repairs of a leaking roof — the first face-lift in 600 years. Below, Manger Square was filled with tour groups, including visitors from India and Africa. But the vista is disrupted by a string of Israeli settlements and Israel’s West Bank separation barrier in the background. Around Bethlehem, the barrier is made up of ugly gray cement slabs, one of the many manifestations of the festering Israeli-Palestinian conflict. Israel portrays the separation barrier as a defense against militants, while Palestinians say it is an excuse for another Israeli land grab. The conflict is ever-present in the Palestinian territories, even during the Christmas season. But tensions have dropped in recent years, the U.S. is making a new attempt to broker a peace deal, Bethlehem hotel rooms are booked through December and the number of visitors is rising steadily. Jaraiseh said Christmas remains the highlight of his year despite the political situation. “We wait for it. It’s a happy day,” he said. The Armenians mark Christmas on Jan. 19. The day before, Jaraiseh rings the bells for longer than usual while the Christmas Eve procession of the Armenian patriarch makes its way into church. Though Jaraiseh is the bell-ringer for the Armenians, he is Roman Catholic and celebrates Christmas on Dec. 25. The Greek Orthodox switched to a computerized system after their bell ringer died a few years ago. “We just press the button, without any need to go up to the roof in bad or good weather,” said Issa Talgiyeh, a Greek Orthodox priest. “This is much easier,” he said — though he acknowledged that the bells rung by hand sound more beautiful. The Roman Catholics went the same route, using a generator to back up the system. The Armenians initially had five bells that were installed in 1923. One was damaged during Israel’s 2002 siege of the church when Palestinian gunmen were holed up inside the shrine for 40 days. 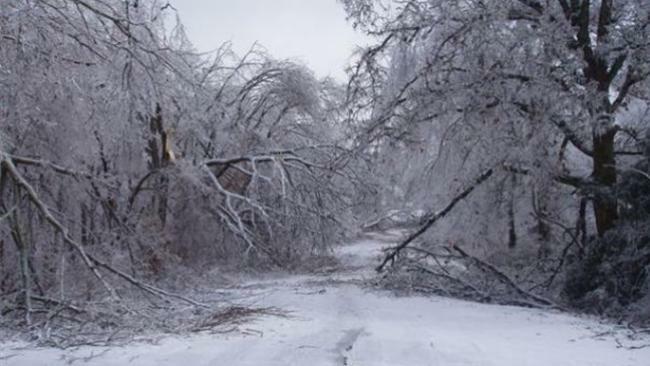 The most destructive ice storms feature heavy ice accumulation, sometimes on the order of several inches, that, when sometimes combining with strong winds, bring down trees and power lines, plunging hundreds of thousands into the dark, sometimes for several days. We’ve collected a list of the top 10 worst ice storms in U.S. history, starting with one in northern Idaho. 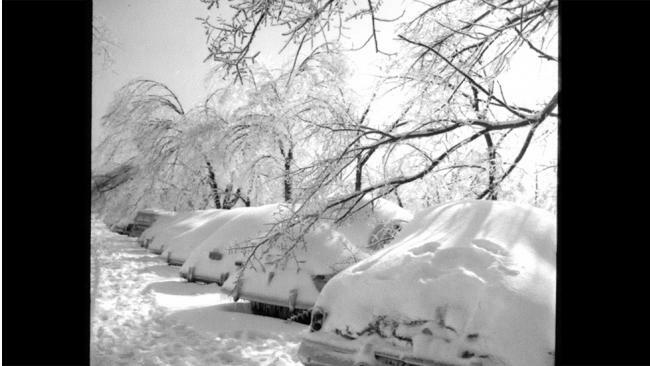 A three-day ice event ushering in 1961 featuring not only freezing rain, but also occasional freezing fog set a U.S.
Power outages and tree damage was widespread in this area. Incidentally, one somewhat common ice storm corridor is along the Columbia River, where subfreezing air spilling over the Continental Divide can sometimes remain trapped ahead of a wet Pacific storm. The timing couldn’t have been worse, and the impact of this ice storm continues to this day in Atlanta. 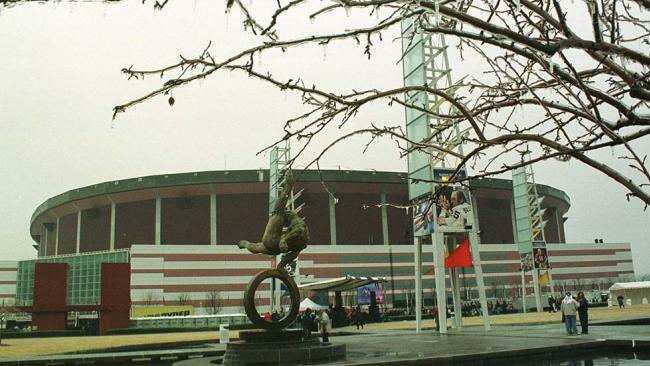 The week before Super Bowl XXXIV, an ice storm left half a million customers without power, some for more than a week. Just days later, another winter storm hit Atlanta on Super Bowl weekend. The second winter storm disrupted practice the Saturday before the Super Bowl. Roads from the teams’ hotel to the Georgia Dome were too hazardous. Atlanta has not hosted another Super Bowl since 2000. Atlanta lost a bid to host the 2009 Super Bowl, awarded instead to Tampa, Fla. In February 2011, Super Bowl XLV was disrupted by a week-long snow/ice event in Arlington, Texas. There have been many ice storms in Texas history. Six inches of ice accumulated in parts of northwest Texas on Jan. 22-24, 1940, according to Weather Underground’s Christopher Burt. New Year’s Eve 1978 was the worst ice storm in North Texas in three decades, producing ice accumulations up to 2 inches thick in a 100 mile-wide swath from just west of Waco to Paris, Texas. 2,000 residents treated for injuries from vehicle accidents, falls on ice and frostbite. Nearly 300,000 Dallas County customers lost power for two days. Others lost power for up to 10 days. You can certainly vouch for grumpy moods around Christmas 2000 in parts of the South. In mid-December, an ice storm left more than 500,000 without power in parts of Texas, Oklahoma and Arkansas. At the time, one Arkansas official called it the most destructive ice storm he’d seen to the electrical utility infrastructure, there. Just under two weeks later, the weather grinch delivered a lump of coal to stockings from New Mexico to Oklahoma and Arkansas in the form of another ice storm. Over 1 inch of accumulated ice in many locations from northeast Texas into southeast Oklahoma, Arkansas and northern Louisiana. At least 600,000 customers were without power. These were the two most widespread, damaging ice storms of record in Arkansas history at the time, dating to 1819, according to the National Weather Service. Much of cities of Texarkana, Hot Springs and Little Rock, Ark. were without power. Water systems in Texarkana and Hot Springs, Ark. were also down. FEMA Director James Lee Witt’s western Ark. farm also lost power. One of the most prominent ice storm alleys in the U.S. is the interior Northeast, from northern Pennsylvania, central and upstate New York into New England. In the days after Thanksgiving 1921, a four-day ice storm with accumulations over three inches in spots, crippled parts of New England, including the city of Worcester. Damage to power lines, trees, and phone lines was estimated at $20 million. Adjusted for inflation, this storm today would’ve caused over a quarter million dollars in 2013. Compounding the mess were high winds, turning streets into ice rinks, a challenge to anyone on foot. In his book, Extreme Weather, Weather Underground’s Christopher Burt cites a paper in the Bulletin of the American Meteorological Society stating “ice on the side of any dense, unbroken evergreen tree 50 feet high and on average 20 feet wide would have weighed five tons” due to the weight of accumulated ice. At the time, this was the most destructive ice storm of record in New England. A more than 100-mile wide swath from Louisiana to West Virginia was affected by a severe ice storm from Jan. 29-Feb. 2 in 1951. Ice accumulations of up to two inches reported on powerlines and tree limbs. The heaviest accumulations were between Memphis, Tenn, Nashville, Tenn. and Lexington, Ky. Nashville was buried under ?eight inches of ice and snow by the time everything was finished on Feb. 1. High winds from a line of thunderstorms that developed from southwest Louisiana to central Mississippi and northern ?Alabama combined with the glazing of ice to result in widespread tree and powerline damage. The storm was also accompanied by frigid temperatures. Nashville recorded a low temperature of 13 degrees below zero on Feb. 2. Communications and utilities interrupted for a week to 10 days. Damage was estimated to be $100 million. 25 people were killed and about 500 were injured. An early-season winter storm struck many states from Dec. 4-5 in 2002. Locations from Oklahoma to southern Missouri, southern Illinois, Kentucky, northern Tennessee, northeast Georgia and the Carolinas were impacted by freezing rain, sleet and snow. Accumulating snow also affected parts of the Middle Atlantic and Northeast. North Carolina was hardest hit by freezing rain accumulations. One of the worst ice storms to ever hit North Carolina. Accumulations of up to an inch were reported in central parts of the state. The storm caused the largest power outage in North Carolina’s history. More than 1.7 million customers lost power and 41,000 remained without power eight days later. Widespread damage to trees and power lines was reported. Property damage almost $100 million in North Carolina. Parts of the Charlotte and Raleigh-Durham metro areas were paralyzed for days. Days of freezing rain led to heavy ice accumulations of one to locally more than two inches in northern Arkansas and portions of Kentucky in late January of 2009. For perspective, accumulations of more than a half inch are considered crippling. The heavy ice coatings caused widespread damage to trees, power lines and power poles. Trees fell on homes and cars and blocked roads. The storm was so damaging that the National Weather Service in both Paducah, Ky. and Louisville, Ky. rated it as the worst weather event of the decade for their respective areas. Kentucky’s governor, Steve Beshear, described it as the biggest natural disaster the state has experienced in modern history. Governor Beshear called in National Guard troops to help clear roads and go door to door to check on families in the western part of the state (the worst-hit area). At its height, a total of 1.3 million residents were left without power in multiple states. For Kentucky, it was the largest power outage in history with 609,000 homes and businesses in the dark. Over 200,000 lost power in Louisville and it took as long as 10 days to get all customers back online. Area schools were out for up to a week. Necessities such as food and water were difficult to obtain and lines for gas were hours long. Heavy sleet accumulations across much of southern Illinois and parts of southeast Missouri caused dozens of roof collapses. At least 30,000 power poles were downed or snapped in Arkansas. More than 145 miles of high-voltage transmission lines were downed in southeast Missouri. The storm claimed 24 lives in Kentucky and another 18 in Arkansas from a combination of traffic accidents, hypothermia and carbon monoxide poisoning. 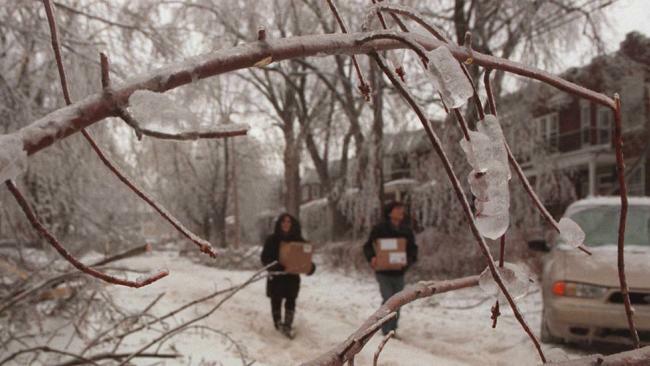 The second worst ice storm in history hit the South Feb. 9-13, 1994. Extensive damage totaling $3 billion was reported in portions Texas, Oklahoma, Arkansas, Louisiana, Mississippi, Alabama, Tennessee, Georgia, South Carolina, North Carolina and Virginia. Of all the states affected, Mississippi Tennessee and Alabama saw the worst impacts. More than 2 million lost power. A half million were still without power three days after the storm. Some residents in Mississippi were without power a month after the storm. More than 80,000 utility poles were pulled down by the weight of the ice. Downed trees and limbs caused widespread damage to homes, businesses and vehicles. Many roads were blocked as well, making travel nearly impossible in some areas. In Mississippi, 3.7 million acres of commercial forests were damaged severely. At least nine deaths related to direct or indirect impacts from the storm. A crippling, devastating ice storm hit portions of upstate New York, northern Vermont, northern New Hampshire, much of Maine and southeast Canada. Its impacts were so severe that it made an exclusive list as one of 144 weather disasters compiled by NOAA which have exceeded a billion dollars in damage from 1980-2012. Total damage was $1.4 billion in the U.S. plus another $3 billion in Canada. Over 500,000 in northern New England lost power. Near 80 percent of Maine’s population lost electrical service. The extensive power outages lasted for days and in some cases weeks. 16 lives were lost in the U.S. and an additional 28 deaths related to the ice storm were reported in Canada. Ice accumulations were as much as 3 inches thick in northern New York, northern New England and southeast Canada. Rapid ice accumulations from the Jan. 7-9, 1998 downed millions of trees and caused widespread destruction of power lines and power poles. Included in the millions of damaged trees were many maple and apple trees, which affected the maple sugaring and apple industries for years. Outside of the crippling ice, this storm system also brought flooding to portions of the South, lower-Mississippi Valley and Upstate New York. The most severe flooding was in western North Carolina and eastern Tennessee where more than 700 homes were damaged or destroyed. Total costs were $15 million in North Carolina and $20 million in Tennessee. The world is, of course, a multicultural place, with its people celebrating myriad holidays during the final weeks of the year, from Hanukkah to Kwanzaa. With one-third of the world’s population Christian, Christmas is celebrated in many nations. Yet in places where Christians are in the minority — take Japan, for example, where less than 1 percent of the population follow the religion — many may still honor the holiday, albeit in unexpected ways. No other country in the world celebrates the season quite like Filipinos, the third-largest Catholic nation in the world. The Philippines one-up the United States’ propensity for immediately replacing Halloween décor with Christmas lights by commencing celebrations in September — making it the longest Christmas celebration in the world. The southeast Asian’s Catholicism is a holdover from the Spanish colonial era of the Philippines, as are traditions like the marathon nine-day series of Christmas masses called simbang gabi. So, too, are the festive parols, or star-shaped lanterns, that brighten windows during the entire holiday season. The lights, which are meant to reflect the Star of Bethlehem in design, are named after the Spanish word for lantern, farol. This year, the lighting of the traditional Christmas lanterns carries particular meaning in the aftermath of Typhoon Yolanda. The Yule Log is customary in European-derived Christmas traditions. It crackles brightly on many an American TV as something of a faux hearth. The French bake a confectionary version of the holiday-themed tree part. But Sweden skips the wood and goes for the goat instead. The Yule Goat isn’t a real animal; it’s typically made almost entirely of straw. In the Swedish tongue, the Christmas goat is known as the Julbok. The Julbok’s origins are rooted in mythology, but it’s been warmly adopted by Swedes as part of modern Christian tradition — perhaps too warmly. In Australia, Christmas falls right in the middle of some of the hottest weather of the year. Because of the extreme heat, Christmas is often marked by electrical storms and brush-fires rather than gently falling snow. But that doesn’t keep Aussies from getting into the Christmas spirit. A Canberra family recently broke a world record by stringing more than 31 miles of Christmas lights around its property. Some Australians who celebrate Christmas honor the nation’s Anglo-Celtic influence with English-style holiday fare likely more appropriate for colder climes. Roast turkey, steamed pudding and gingerbread all might end up on the table. But it’s not all about plum pudding, which is increasingly served with ice cream to help tolerate the Australian summer temperatures, anyway. To further beat the heat, up to 40,000 Australians flock to Bondi Beach in Sydney at Christmastime — and beaches mean barbecues. Carols by Candlelight, derived from a 19th-century Australian tradition, has turned into a big, down-under outdoor Christmas festival. Held on Christmas Eve in Melbourne for the past 76 years, the outdoor concert is now a fundraiser for Vision Australia. Similar events are now held around the world. Finland seems made for Christmas. Reindeer run rampant in Finnish Lapland and Joulpukki, a bearded mythical figure who looks and acts for all the world like Santa Claus, is said to make his home where those same reindeer roam. But it’s not all snowflakes and cookies on Christmas Eve, when at noon the Declaration of Christmas Peace is read in a formal ceremony in South Finland. In other words, hooligans, don’t mess with Finnish Christmas. The peaceful declaration goes on to wish the inhabitants of Finland a joyous Christmas feast. There, a feast is made joyous with the addition of Christmas ham, smoked and pickled fish, cheeses and sweet Christmas breads. The people in the northernmost parts of Finland sometimes even eat reindeer for Christmas. In Finland, people wish each other “Hyvää Joulua” on Christmas. In France, Christmas Day is always preceded by a “Reveillon”, which means staying awake to usher in the next day, according to Susi Seguret, who leads the Seasonal School of Culinary Arts in several different cities, including Paris. Seguret says the meal always includes fresh oysters, a fish course, a poultry course, a meat course, an extensive cheese platter and delicate desserts. The components of the dish vary by local or familial tradition, but tend to include dried fruits, nougat and other traditional sweets. In northern France, particularly in Alsace, traditional Christmas markets abound. They burst with holiday sweets like the bredele and gingerbread as well as warming mulled wine. On Dec. 6, white-bearded St. Nicolas walks through the streets of Alsace, passing out sweets to all of the “good” children. Sound familiar? 1147 Moscow was founded by Prince Yuri Dolgoruky (1090-1157). Prince Svitoslav Olgovich is invited to Moscow, the documented mention of Moscow. Originally Moscow was nothing more than a hunting village built on the top of a hill. So, almost 300 years after Jesus was born, we finally find people observing his birth in mid-winter. But how had they settled on the dates December 25 and January 6? In the five-part documentary An Archaeological Search for Jesus, Hershel Shanks travels from Galilee to Jerusalem in search of the first century world in which Jesus lived. Visit Nazareth, Sepphoris, Capernaum, Bethsaida, Qumran and other landmarks as Shanks interviews eminent archaeologists and New Testament scholars about the sites associated with Jesus and other gospel figures. The December 25 feast seems to have existed before 312—before Constantine and his conversion, at least. As we have seen, the Donatist Christians in North Africa seem to have known it from before that time. Furthermore, in the mid- to late fourth century, church leaders in the eastern Empire concerned themselves not with introducing a celebration of Jesus’ birthday, but with the addition of the December date to their traditional celebration on January 6. There is another way to account for the origins of Christmas on December 25: Strange as it may seem, the key to dating Jesus’ birth may lie in the dating of Jesus’ death at Passover. This view was first suggested to the modern world by French scholar Louis Duchesne in the early 20th century and fully developed by American Thomas Talley in more recent years. But they were certainly not the first to note a connection between the traditional date of Jesus’ death and his birth. This idea appears in an anonymous Christian treatise titled On Solstices and Equinoxes, which appears to come from fourth-century North Africa. The treatise states: “Therefore our Lord was conceived on the eighth of the kalends of April in the month of March [March 25], which is the day of the passion of the Lord and of his conception. For on that day he was conceived on the same he suffered.” Based on this, the treatise dates Jesus’ birth to the winter solstice. In the East, too, the dates of Jesus’ conception and death were linked. But instead of working from the 14th of Nisan in the Hebrew calendar, the easterners used the 14th of the first spring month (Artemisios) in their local Greek calendar—April 6 to us. 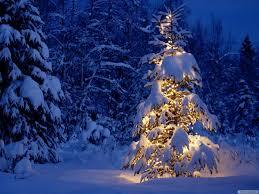 April 6 is, of course, exactly nine months before January 6—the eastern date for Christmas. In the East, too, we have evidence that April was associated with Jesus’ conception and crucifixion. Bishop Epiphanius of Salamis writes that on April 6, “The lamb was shut up in the spotless womb of the holy virgin, he who took away and takes away in perpetual sacrifice the sins of the world.” Even today, the Armenian Church celebrates the Annunciation in early April (on the 7th, not the 6th) and Christmas on January 6. Connecting Jesus’ conception and death in this way will certainly seem odd to modern readers, but it reflects ancient and medieval understandings of the whole of salvation being bound up together. One of the most poignant expressions of this belief is found in Christian art. In numerous paintings of the angel’s Annunciation to Mary—the moment of Jesus’ conception—the baby Jesus is shown gliding down from heaven on or with a small cross (see photo above of detail from Master Bertram’s Annunciation scene); a visual reminder that the conception brings the promise of salvation through Jesus’ death. The notion that creation and redemption should occur at the same time of year is also reflected in ancient Jewish tradition, recorded in the Talmud. The Babylonian Talmud preserves a dispute between two early-second-century C.E. rabbis who share this view, but disagree on the date: Rabbi Eliezer states: “In Nisan the world was created; in Nisan the Patriarchs were born; on Passover Isaac was born … and in Nisan they [our ancestors] will be redeemed in time to come.” (The other rabbi, Joshua, dates these same events to the following month, Tishri.) Thus, the dates of Christmas and Epiphany may well have resulted from Christian theological reflection on such chronologies: Jesus would have been conceived on the same date he died, and born nine months later. In the end we are left with a question: How did December 25 become Christmas? We cannot be entirely sure. Elements of the festival that developed from the fourth century until modern times may well derive from pagan traditions. Yet the actual date might really derive more from Judaism—from Jesus’ death at Passover, and from the rabbinic notion that great things might be expected, again and again, at the same time of the year—than from paganism. Then again, in this notion of cycles and the return of God’s redemption, we may perhaps also be touching upon something that the pagan Romans who celebrated Sol Invictus, and many other peoples since, would have understood and claimed for their own, too. Hagopian: Jerusalem Odyssey: Part 1, The Return. Since its inception, the economy segment has undergone a continual process of transition. Although most owners, operators and lenders take a “stick to the basics” approach, a problem arises when one attempts to define just what “the basics” are. Since its inception, the economy segment of the lodging industry has undergone a continual process of transition. Although most owners, operators and lenders take a “stick to the basics” approach to economy lodging, a problem arises when one attempts to define just what “the basics” are. There are essentially two schools of thought when it comes to defining the basics. In the first, they revolve around price/value, guest satisfaction and market position; in the second, they focus on minimum amenities, minimum services and Spartan physical facilities. Although profitability is the goal of both approaches and both tend to focus on occupancy, the former group additionally recognizes that average daily rate (ADR) plays a role in the room-revenue formula. These two approaches create a dynamic tension in the economy segment. This tension contributes to the excellent price/value that economy-hotel guests enjoy. The entry barriers to the economy segment are relatively low: Less than $2 million, with minimal equity requirements, will develop a very nice 40- to 50-room economy property. Don’t scoff at that size, by the way: In many markets, it’s just about right. Yes, the hotel will be fairly Spartan and yes, the owner will likely be a neophyte to the hotel industry (though not necessarily to the development game). But that neophyte will learn in a few years what the old-time hotelier already knows: The mouse trap must be improved regularly if it’s going to continue to work well. As amenities and services are added, room rates must rise—but not beyond perceived value nor out of balance with the competitive market. Here is where the tension tightens: As soon as a new developer perceives an opening in the market and can obtain a secondary or tertiary site in a decent location, a new budget hotel appears on the scene. In response, management of the moderately priced hotel nearby moves to reposition it as an economy property by lowering rates. These two events create a market situation that’s viewed as either highly competitive or overbuilt. New amenities and services added to economy/limited-service properties to make them more competitive usually are inspired by their full-service big brothers. The constraints to adding new amenities are cost, staff and available land (or its marginal cost). As a result, pools, hot tubs, and well-equipped exercise rooms have become almost commonplace in economy properties. Complimentary continental breakfasts, rather than just coffee and a doughnut, were adopted years ago from the all-suite model. Executive centers have appeared, complete with Internet access, fax machines, and copiers. Lobbies featuring couches, coffee tables and side chairs have replaced utilitarian entryways. When economy-hotel guests enter their room today, they expect to find Internet access, hair dryers, easy chairs, desks with large work surfaces, and remote-control cable TV with free movie channels. Even pay-per-view-movie firms, once reluctant to market their expensive installations to economy hotels, have discovered big profits in the segment’s guestrooms. Clearly, a significant number of investors believe that economy/limited-service hotels are more profitable than their full-service counterparts. All the statistics I’ve seen over the years support this premise as it relates to profit before income taxes as a percentage of sales. This is because the rooms department of any hotel, which is its very reason for existing, has the highest profit margin. Not only do the other revenue departments in fullservice hotels have lower margins, but they also add undistributed expenses disproportional to their departmental margins. The question then becomes one of whether they add significantly to occupancy and ADR (which is, after all, the reason extra facilities and amenities are included in a full-service hotel). It stands to reason, then, that operational profits as measured in cash flow are higher in full-service hotels, while the percentages are higher in economy/limited-service lodging properties. However, this leads to another question: Is return on investment (ROI), another measure of profitability, greater in economy/limited-service hotels than in full-service hotels? In researching this question, I was unable to find any objective comparisons of return on assets or equity. Comparing ROI, by any definition, between the average full-service hotel and the average economy/limited-service hotel is difficult because of the criteria one would have to establish. However, I feel safe in saying that some investors are likely to accept lower returns on economy/limited-service lodging investments compared with full-service hotels because the risk is significantly lower. The primary reason for this is that the capital required to build one medium-size, mid-price, full-service hotel could build three or four economy/limited-service properties in various locations: Thus, the risk is spread over more markets. The higher profit margins on sales would seem to imply that the economy/limited-service lodging hotel would have a higher degree of resiliency in down markets and quicker recovery as demand returns. The minimum staffing levels and other semi-fixed expenses necessary to maintain these hotels’ service levels clearly set a very low floor on how much expense-cutting an operator can achieve once the variable expenses and value-added amenities have been cut in a depressed market. Because of the limited cash circulating through these properties, managers tend to be very conservative in their decisions regarding discretionary expense items, particularly in marketing and employee benefits. Speaking of employees, labor costs in economy/limited-service lodging properties appear, on the surface, to be very low. I believe the opposite is true and that the actual cost is obscured by the high number of hours the manager and others work. With few exceptions, employee turnover is very high and is always blamed on local market conditions. The fact is that the typical manager has not been trained to check references, interview properly and effectively orient and train new employees. Often, the environment is such that the manager hires a “warm body” in hopes that the new employee will work out and the manager’s own work load be reduced. The cycle, however, goes on as the new employee often becomes disenchanted and leaves. The hidden costs in poor efficiency and quality of work resulting from this system are obvious to all but the most unsophisticated—and could be corrected by more emphasis being placed on proper recruiting, interviewing, hiring and training procedures. As for marketing, economy/limited-service hotels tend to focus on room rate and location. Due to the low payroll budgets, sales representatives are virtually unheard of in the segment—managers are expected to shoulder the burden of the direct-sales effort. Unfortunately, the typical economy-hotel manager defines “management” as getting reports done, hosting, and holding payroll to a minimum by working at the front desk for an inordinate amount of time. Competent training of staff, inspecting, civic involvement and quality sales calls are not commonly found in these properties. A major factor counteracting this tendency is the substantial support offered to operators by most franchisors in the economy segment. The top franchisors are getting more and more sophisticated in their marketing efforts. TV ads are becoming increasingly more effective, target marketing is implemented in very sophisticated ways, and any chain worth its salt has developed sophisticated Internet marketing and sales programs. In my opinion, the key factor in being a successful developer or operator of an economy hotel is simply this: Pay careful attention to every detail of development and day-to-day management without losing sight of the big picture. But just what is “the big picture”? I see it as a continuing, evolving collage that includes ever-changing guest preferences, shifts in the local competitive environment, and the dynamics of the local area’s economy and how it impacts demand for hotel rooms. This last piece of the big picture is probably where the least amount of support is available to the manager from either the owner or the franchisor. As a result, the economy/limited-service lodging operator typically reacts to, rather than plans for, change. But perhaps the most important piece of the economy-segment big picture is this: It will always be a people business, whether the people are guests or employees. And whatever your definition of “sticking to the basics” might be, in the economy segment it should always start with taking care of people. You don’t have to overhaul your entire diet to get a big health boost. Here are five simple changes you can put into action today for high-impact results. You know fruits and vegetables are good for you, but did you know they should fill half your plate at every meal? That’s what the the Academy of Nutrition and Dietetics recommends, and for good reason: Packed with vitamins, minerals, and fiber, fruits and vegetables make you less likely to get heart disease, high blood pressure, and some cancers. Your daily goal: 2 cups of fruit and 2.5 cups of veggies. Sound like a lot? “Think about eating them all day,” says Cheryl Forberg, RD, author of Flavor First: Cut Calories and Boost Flavor. Top your morning eggs with salsa (yes, it counts! ), lunch on vegetable soup or a sandwich topped with sprouts, snack on a strawberry-banana smoothie, and for dinner add chopped-up veggies to your meat loaf or pasta sauce. Saturated and trans fats can raise your bad cholesterol level and your risk of heart disease. By cutting back on animal-based foods like butter, bacon, and untrimmed meats, as well as pantry staples like cookies and crackers, you can keep these at bay. Eating less bad fats can be as easy as switching from whole milk to fat-free milk, eating a turkey burger instead of a beef burger, and switching from peanut butter to a lower-fat nut butter, Forberg says. You do need some fat, of course. Plant-based foods like olive oil, nuts, seeds, and avocados contain healthy fats that are essential for energy and cell growth. To add more good fats to your diet, snack on almonds instead of chips, cook with olive oil instead of butter, and top your sandwich with a slice of avocado instead of cheese. Also, some fish (such as salmon) is high in good-for-you omega-3 fatty acids. The American Heart Association recommends eating fish at least twice a week. If most of what you’re drinking every day isn’t plain water (think soda, coffee drinks, sports drinks, and juices), you’re probably overloading on added calories and sugar. “People think juice bars are great, but if you’re having a jumbo you’re not doing yourself a favor,” Forberg says. Water, on the other hand, goes a long way in boosting health. Every cell in your body needs it to work properly. Water also helps your digestion. Trade sugary drinks for water. Aim for about six to eight glasses a day. To help reach that goal, start and end your day with a tall glass of water and keep a water bottle with you during the day. Need more flavor? Drop a slice of lemon or lime into your glass.